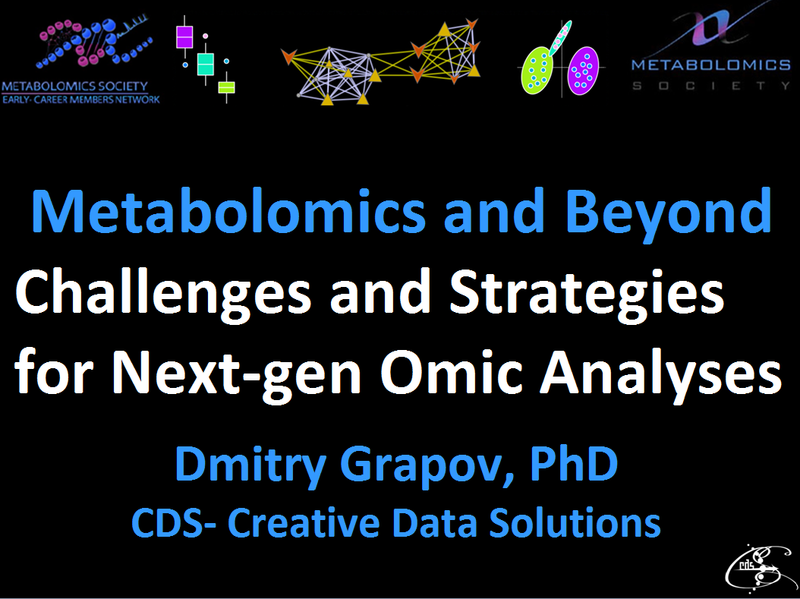 Recently I had the pleasure of giving lecture for the Metabolomics Society on Challenges and Strategies for Next-gen Omic Analyses. You can check out all of my slides and video of the lecture below. 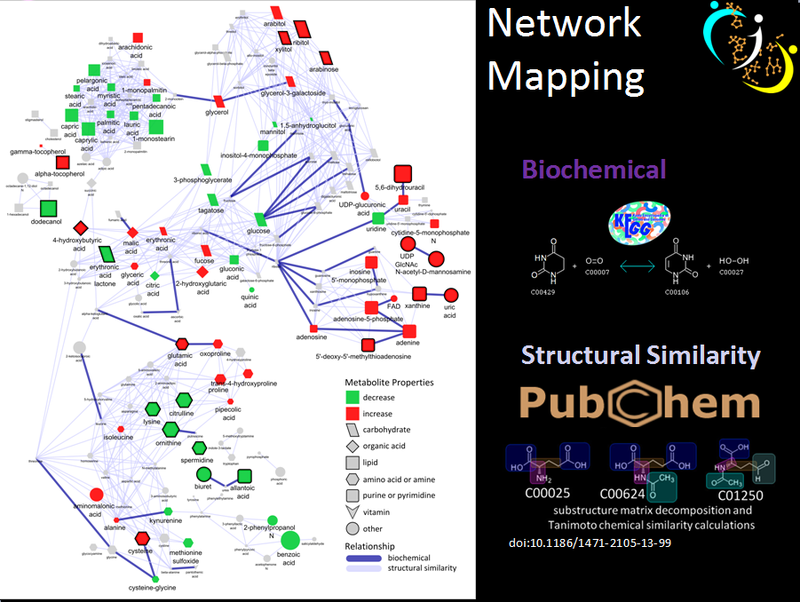 I recently had the pleasure of giving a presentation on one of my favorite topics, network mapping, and its application to metabolomic and genomic data integration. You can check out the full presentation below. I’ve recently participated in the American Society of Mass Spectrommetry (ASMS) conference and had a great time. I met some great people and have a few new ideas for future projects. Specifically giving a go at using self-organizing maps (SOM) and the R package mcclust for clustering alternatives to hierarchical and k-means methods. I had the pleasure of speaking at the conference in the Informatics-Metabolomics section, and was also a co-author on a project detailing a multi-metabolomics strategy (primary metabolites, lipids, and oxylipins) for the study of type 1 diabetes in an animal model. Keep an eye out for my full talk in an upcoming post. High dimensional biological data shares many qualities with other forms of data. Typically it is wide (samples << variables), complicated by experiential design and made up of complex relationships driven by both biological and analytical sources of variance. Luckily the powerful combination of R, Cytoscape (< v3) and the R package RCytoscape can be used to generate high dimensional and highly informative representations of complex biological (and really any type of) data. Check out the following examples of network mapping in action or view a more indepth presentation of the techniques used below. Partial correlation network highlighting changes in tumor compared to control tissue from the same patient. 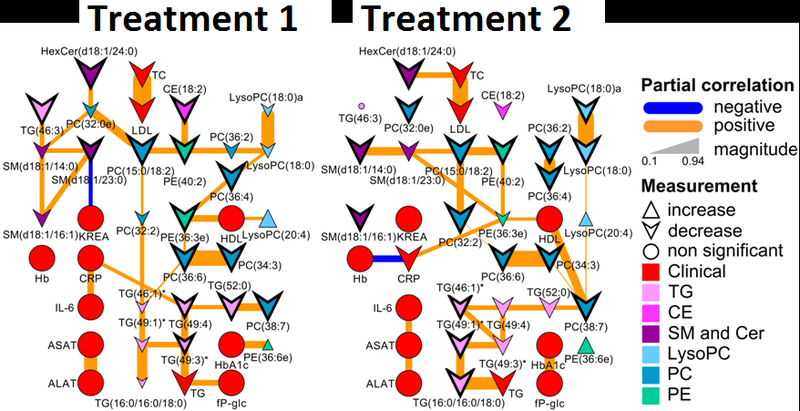 Biochemical and structural similarity network of changes in tumor compared to control tissue from the same patient. 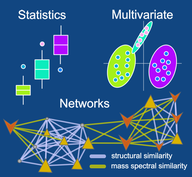 Hierarchical clusters (color) mapped to a biochemical and structural similarity network displaying difference before and after drug administration. 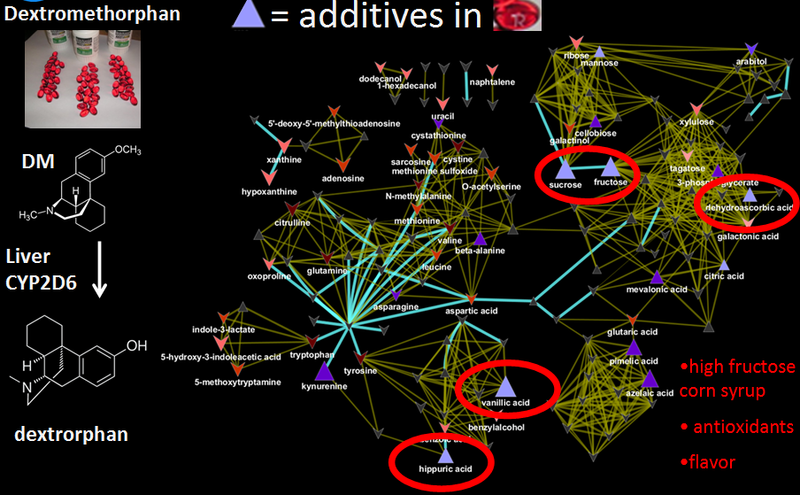 Partial correlation network displaying changes in metabolite relationships in response to drug treatment. 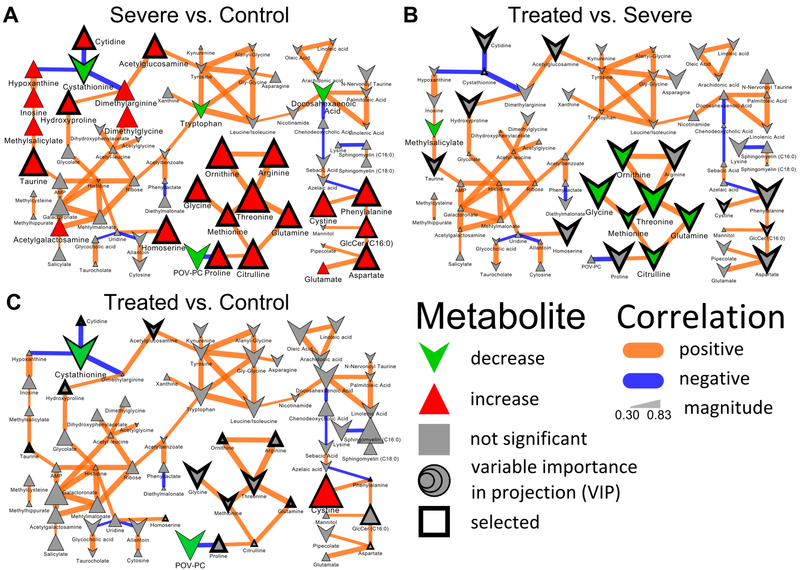 Partial correlation network displaying changes in disease and response to drug treatment. Check out the full presentation below. 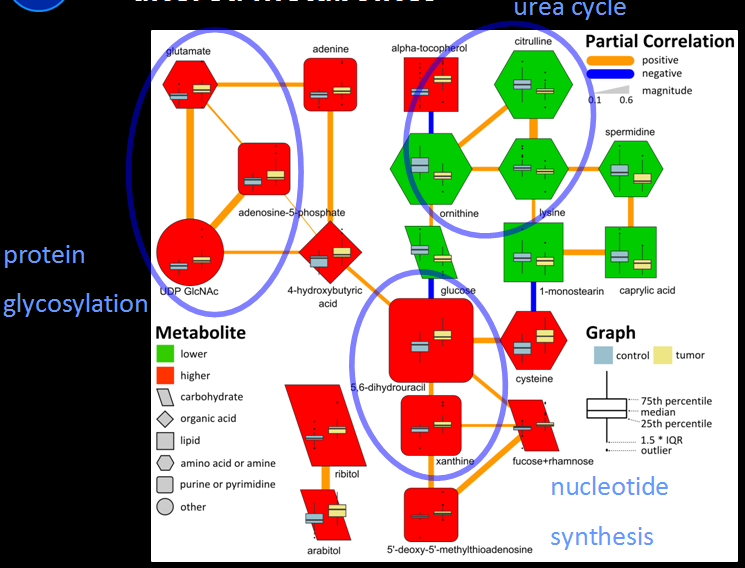 I am happy to have taught the course using all open source software, including: R, and Cytoscape. The data analysis and visualization were done using Shiny-based apps: DeviumWeb and MetaMapR. Check out some of the slides below or download all the class material and try it out for yourself. 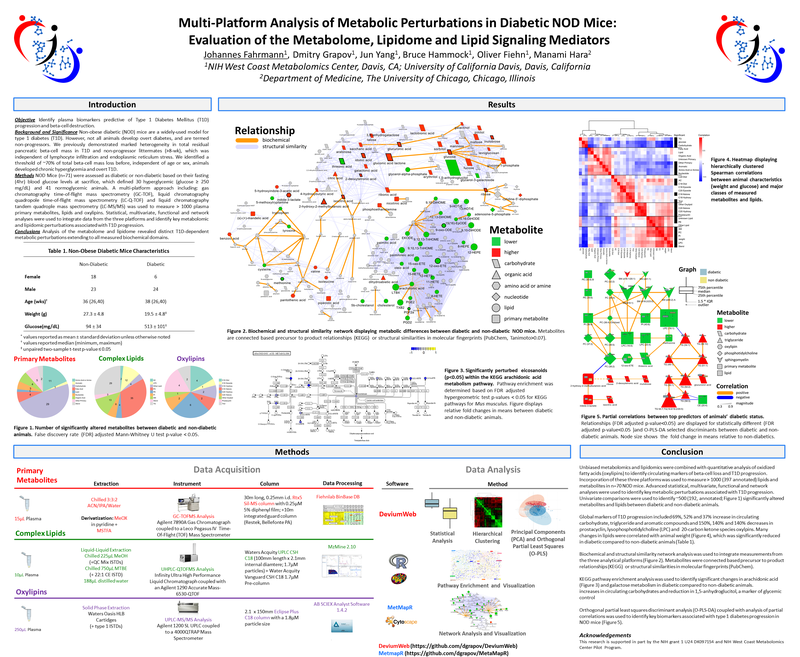 2014 WCMC LC-MS Data Processing and Statistics for Metabolomics by Dmitry Grapov is licensed under a Creative Commons Attribution-NonCommercial-ShareAlike 4.0 International License. Special thanks to the developers of Shiny and Radiant by Vincent Nijs.